Toward the end of December 2018, the Charlestown Police Department learned of a brother officer named Jonny Castro, of the Philadelphia City Police Department (PA); who paints portraits of fallen officers throughout the country. 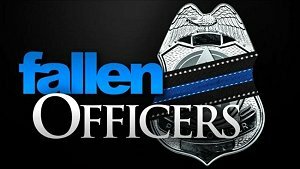 A rendering of our fallen Sgt. Bertram’s portrait, created by Officer Castro, was posted on social media, shared; then included with the portraits of all the officers who lost their life in the line of duty last year nationwide. This morning, with the assistance of former Charlestown Police Department Chief Wayne Crumpton; an original print of Officer Castro’s portrait honoring Sgt. 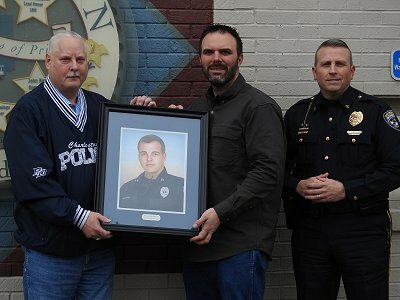 Ben Bertram was framed and present to Chief Keith McDonald and Assistant Chief Tim Wolff in front of Charlestown City Hall. The portrait is planned to find a permanent and special place inside the new Charlestown Police Department Headquarters; currently under constructed and scheduled for completion late this Spring. 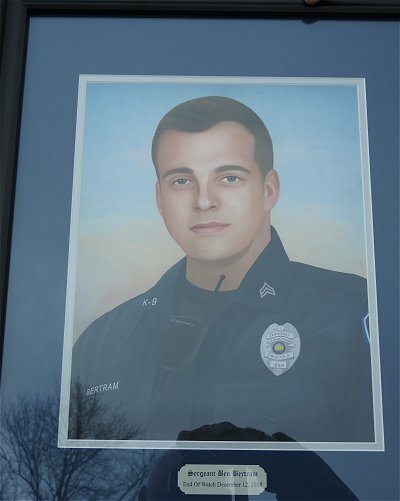 Portrait of fallen CHPD Sgt. Ben Bertram, by Jonny Castro.